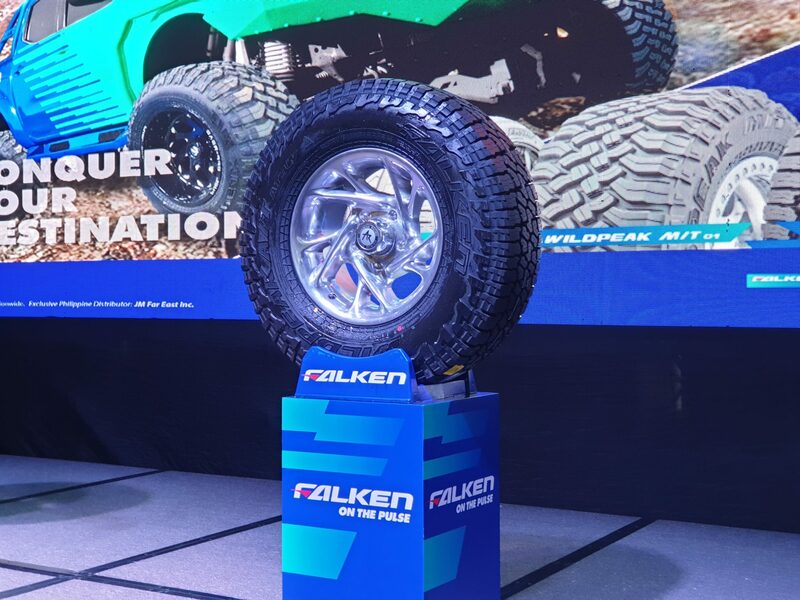 JM Far East Inc., the official distributor of Falken Tires in the Philippines, introduced a new range of Falken high-performance and all-terrain tires – the WILDPEAK M/T, WILDPEAK A/T 3W, and AZENIS FK510-SUV. Designed and tested with professionals, the WILDPEAK M/T can take on the harsh conditions with its maximum off-road traction. It features proprietary three-ply DURASPEC Sidewall Technology, developed to sustain punishing off-road conditions. The technology also demonstrates two high ply turn-ups that provide an additional layer of protection and durability. The tire, however, is also made for daily use on the road. Optimized variable three-pitch tread pattern and precision help in making the tire quiet and comfortable on pavement. Heat diffusers are located on the lower side wall to dissipate heat and protect the tire’s internal components. 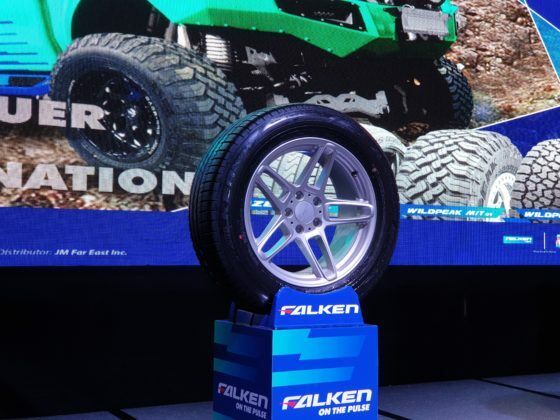 The second product launched by Falken is the WILDPEAK A/T3W. It was engineered to take on three areas: wear, winter, and wet performance. Its technology includes Falken’s patented 3D Canyon Sipes and grooves to maintain performance and appearance throughout the life of the tire. A quiet ride is achieved thanks to the tread blocks positioned by the variable three-pitch tread pattern. Like the WILDPEAK M/T, the A/T3W also features heat diffuser technology on the lower side wall. The AZENIS FK510 provides superb grip, crisp handling, and capable overall performance on normal road conditions. It is available in 69 applications, ranging from 17- to 21-inches. 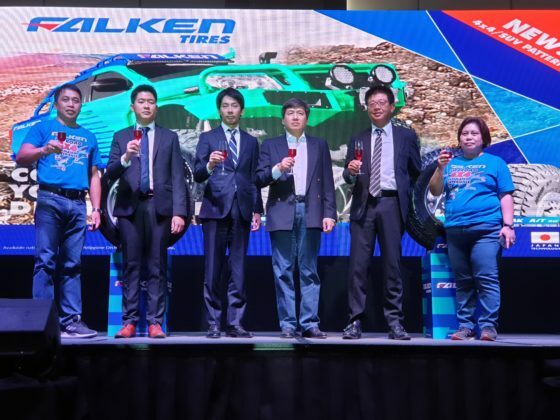 “We are very excited to bring the Falken Tires in the country and we’re confident that the Filipinos will positively respond to these three new global products that are fit for our roads,” said JM Far East President and CEO Winston Manabat. 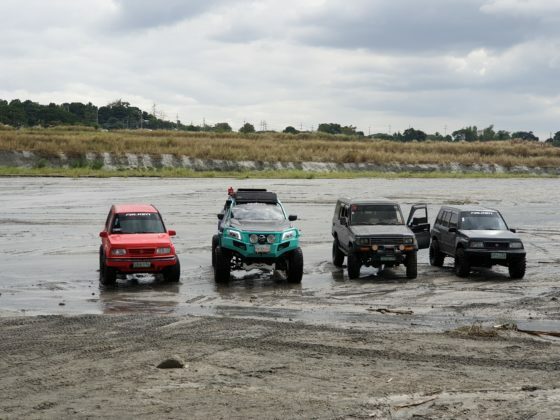 After the launch at Clark, Pampanga, Falken took the motoring media along with its executives and dealers to the Sacobia River and Natural Hot Springs with 4×4 SUVs using the brand’s products. 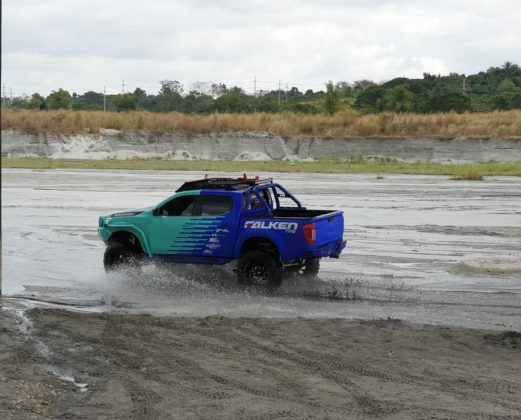 Falken began as a Sumitomo Rubber Industries brand in 1983. During its inception, Falken was meant to be a flagship high performance radial tire brand. Today, the tire brand is a popular stand-alone brand that focuses on high-performance products, while using professional motorsports in developing its products globally. Upon ending its joint venture partnership with Goodyear Tires USA in 2015, Sumitomo Tire and Rubber Company pivoted its approach in making Falken a strategic global brand by turning it into an Original Equipment supplier to major international automotive manufacturers like Mercedes-Benz, Porsche, Volkswagen, Nissan, and Subaru.